Which states in the U.S. are full of the most committed Christians… and which aren’t? And how are those numbers changing? 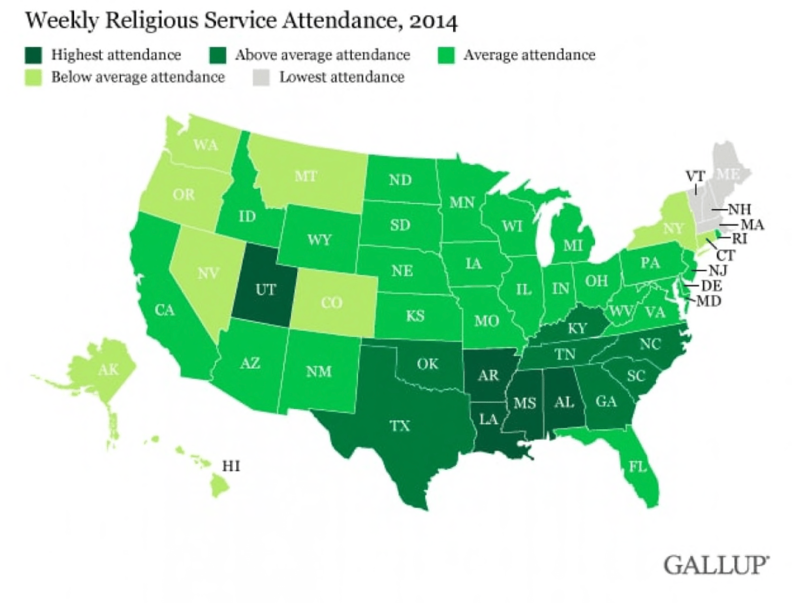 Many of us have read articles about the decreasing amount of believers in the U.S.– like this fascinating Washington Post article a few years back displaying 22 different maps of various religious groups and their influence in the U.S., or this one about weekly church attendance. I find it interesting to see how this translates to youth ministry. Obviously this doesn’t necessarily dictate where true believers are… but do you notice the resemblance to most the U.S. religious landscape maps? As a resident of California and a frequent speaker in the Pacific Northwest, I’m really hoping to see more Idaho, Montana, and Oregon churches- to name a few- getting involved in evangelism opportunities like this. Where is your church on this map? Maybe you should connect with Dare2Share and become a part of this?